We love Shibui: lush textures, a sophisticated color palette, a minimalist aesthetic, plus regular attention paid to viable warm-weather garments. This year Shibui is upping its game by releasing not just one but two warm-weather collections, Spring 2019 (this March) and Summer 2019 (this June). We are pleased to be hosting Shibui’s inaugural Spring collection soon after its release, from April 3 to 15. During the trunk show, we will be holding a drawing to win a kit to make Sivia Harding’s new design “Mitchell” (see it in the gallery below and hover over the image to read all the specs). Everyone who makes a Shibui yarn purchase between April 3 and 15 will be entered into the drawing which we’ll hold on April 16. 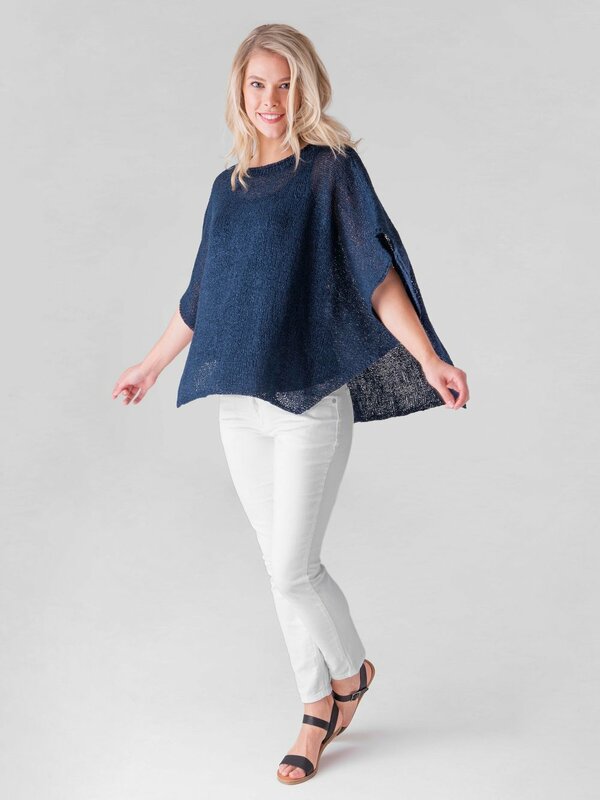 The designs perfectly capture Shibui’s signature style, featuring their newest yarn in wearable garments you’ll blend seamlessly into your wardrobe. 22.5 sts & 31 rnds = 4” in St st af ter blocking, with 1 strand of Fern, on size 5 needles or size needed to obtain gauge.